High quality automotive touch up paints and refinishing products for MINI COOPER to meet the needs of traditional collision repair centers, do-it-your-selfers, car builders, motorcycle builders & hobbyists. Order Processing: We take 2-3 business days on average to process, formulate, manufacture, and ship out your order (3-5 days during peak times). This is because your paint is individually CUSTOM-MIXED for your vehicle. Selecting a faster shipping method does not guarantee faster delivery. Orders placed after 8:30 am EST will be processed within 24 hrs on the next business day. Order Placement: Verify that you are ordering the correct color for your vehicle by selecting the factory color codes provided in our listing that match your vehicle color code. Orders not placed in this manner may cause you to receive the incorrect color. We cannot be responsible for colors ordered without the correct code unless you have been advised or assisted by our customer service representatives. No returns or refunds will be given unless orders are placed using the OEM (Original Equipment Manufacturer) color code. Work with us, we are willing to go the extra mile to make it right for you. Refunds: No returns or refunds will be authorized unless orders are placed using the OEM (Original Equipment Manufacturer) color code (see "Order Placement"). You must notify us within 30 days of receiving the order of any physical defects or issues with your product i.e. broken container, missing brush, wrong color sent etc. ANY QUESTIONS, please contact us. Product Liability: Using our products means you acknowledge having tested them before application and have fully read and understand the instructions and warnings that arrive with your product. Please be careful and use great care when touching up your vehicle. 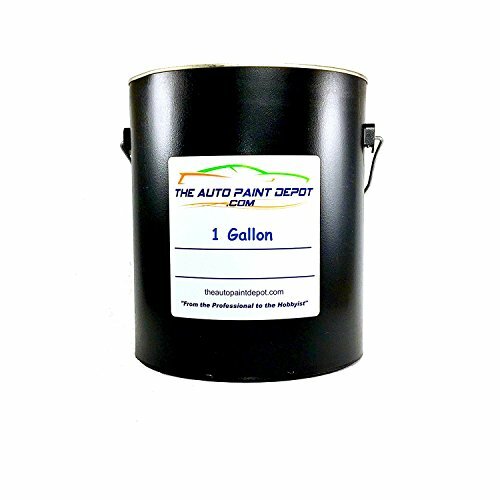 If you have any questions about this product by Auto Paint Depot, contact us by completing and submitting the form below. If you are looking for a specif part number, please include it with your message.